Myanmar is a wonderful country for solo travellers in Asia. Aside from the fact that it is both friendly and safe, this charming destination offers unique travel experiences that differ wildly from anywhere else on earth. 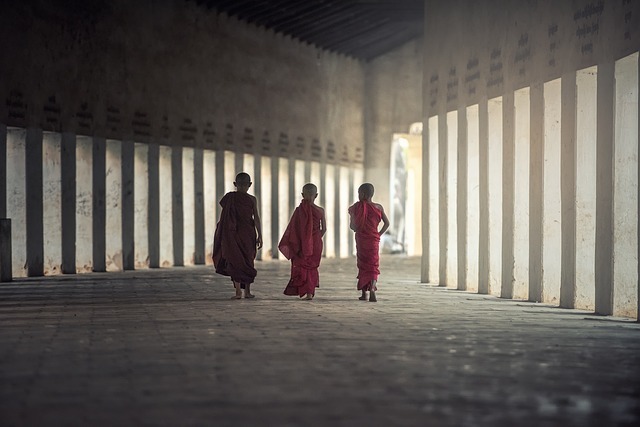 Perfect for budget travellers too – given the choice of accommodation and comfortable transportation at very reasonable prices, Myanmar is a must-visit destination. In fact, it’s gotten even cheaper recently! In 2012, visitors paid around $60 USD per day for a budget trip and now this the average is only $35 USD. There really has never been a better time to visit this country. 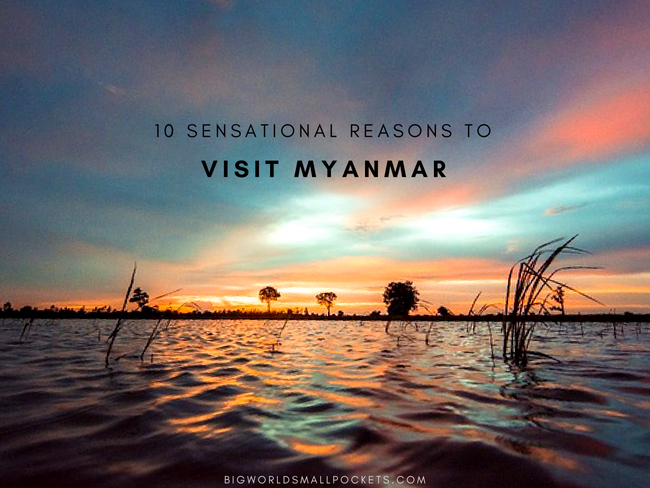 But if you are still hesitating about why you should head to Myanmar, then check out these 10 sensational reasons and prepare to be amazed! There’s no other words for it. Yes, this sacred plain is studded with over 2,200 pagodas built from the time of Bagan Kingdom in 11th century. It is said that no Myanmar Tour is complete without visiting Bagan and I tend to agree! But there are so many ways to appreciate the beauty of Bagan, it can be hard to choose! While expensive hot air balloon rides provide incredible flights over the temple spires, for $5 USD per day, you can wind yourself through the less visited roads, beholding the beautiful mural art and visiting many local villages. The entrance fee of Bagan is 25.00 kyat, equal to $20 and offers unlimited access. When it comes to exploring the waterways of Myanmar, the 1 day river journey connecting Bagan and Mandalay is hard to beat. Starting from just $12 USD per ticket, this 7 hour trip showcases the gliding sceneries from busy city to remote town. Services on boards are super too with a restaurant and a sundeck – bliss! Once the highest viaduct in the world, Goteik is truly awe-inspiring and a must-see on your Myanmar list. This place offers unbeaten mountain views, especially if you ride on the rail track, which was constructed in the 1900’s with over 100m of steel. Perfect for budget adventurers, this trip costs no more than $3 USD and offers amazing opportunities for cultural interaction, especially if you start from Mandalay city. Pyin Oo Lwin, also known as May town is an old British colonial town. The whole area enjoys European-like weather with cool mountain air and lush foliage, especially within the Botanic Gardens. It was initially established as a place of retreat from the tropical heat of Mandalay city by British officers. This goes some way to explaining the town’s abundance of colonial villas and churches. 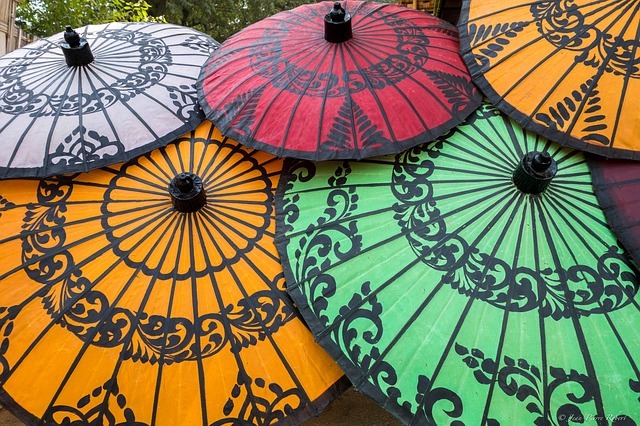 For those who enjoy history when travelling, Pyin Oo Lwin is a must-see. Highly recommended is renting a scooter in Mandalay and basing your schedule for the day around this city. With a scooter, you will also have the chance to add in some extra attractions like Anisakan Waterfall for a motorbike rental price of just $10 USD. Who would have guessed eh? Yup, there are just a few countries in Asia where you can see the Irrawaddy Dolphin and Myanmar is one of them. These lovely creatures live in Irrawaddy river, between Mandalay and the far north of the country. Yet the only way to see them face-to-face is to hire a private boat and join local fisherman for a 1 day photo trip. 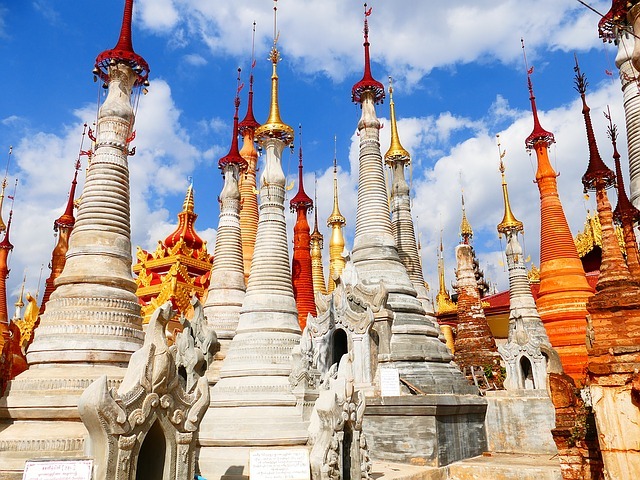 Myanmar is a land of mystery and Chin State is the most mysterious region of all! This mountainous area draws adventurous backpackers from around the world who are keen to hike spectacular trails amidst pristine forest and cascading waterfalls. But aside from hiking, the major reason why Chin State draws visitors is due to the hill tribe who live here and have a strong tradition of facial tattooing. Now is the time to witness this ancient practice before it gets lost. 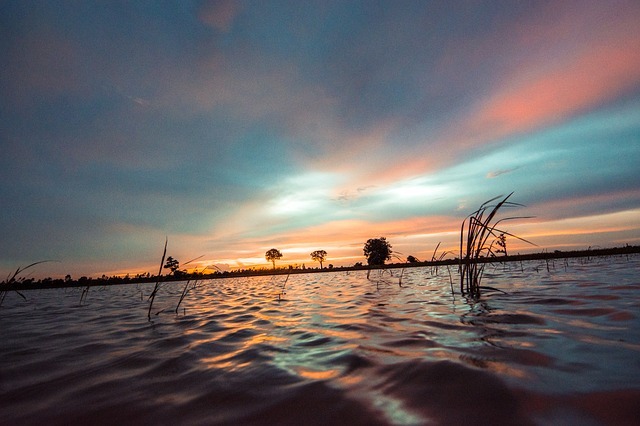 If you are looking for a source of Instagram inspiration – one which combines both landscape and cultural story-telling – Inle Lake is the place for you! The lake comprises of exotic rotating markets, rich traditional workshops, floating gardens and picturesque stilt villages with a stunning mountain backdrop. Yes this photogenic hub also provides opportunities to shoot the friendly Inthar fisherman who navigate their boats using only one leg. 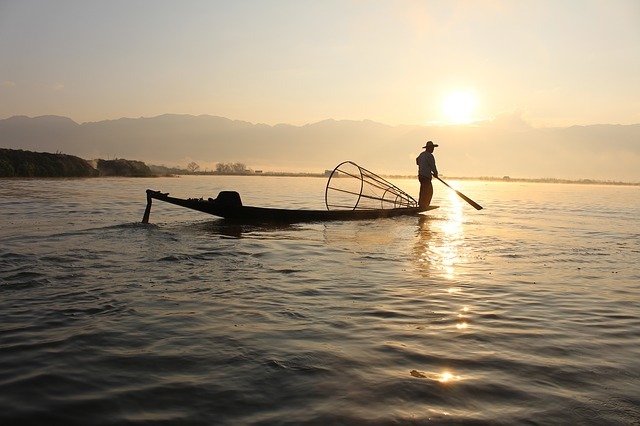 The Inle Lake zone fee is $10 USD – applicable for your whole stay regardless of whether it is 1 or 4 days. If you find a travel mate to share a boat ride with, a trip to Inle Lake will be even better value as you can spilt the cost of the boat ride. 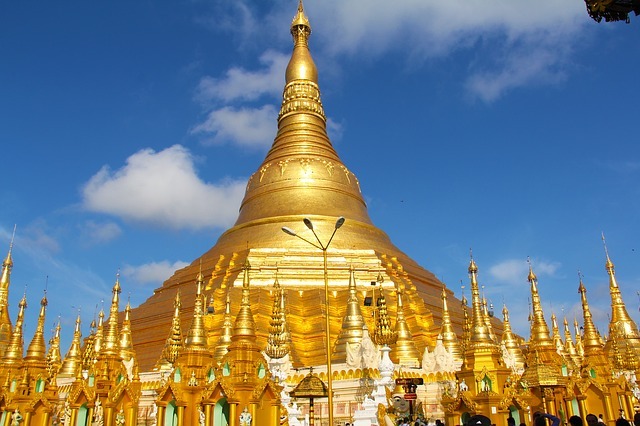 Lying on a small hill in Yangon, Shwedagon Pagoda is the biggest stupa in the country. It produces a golden light that can be viewed from almost anywhere in the city. Said to have been constructed some 2,500 years ago, it is decorated with real gold, diamond and sapphires, making its shimmering appearance unforgettable. Shwedagon Pagoda is mentioned in almost all Myanmar travel itineraries as one of the top attractions, so don’t miss the opportunity to observe the daily rites of this fascinating cultural site. The entrance to the Pagoda is $8 USD and you can easily spend at least half day marveling at this magnificent stupa. Imagine sailing around 800 islands in the Andaman Sea, stopping off at occasionally isolated ones and then diving into a rich azure water full of incredible marine life. Welcome to the Mergui Archipelago! This oceanic paradise, opened only for a few years, is yet another reason to head to Myanmar soon. Especially important for budget travellers is the knowledge that there’s no need to hire an extravagant yacht in Kawthaung to access this idyllic treasure. Instead, you can make yourself comfortable at Seaview Bungalow in the Dawei Peninsula for $27 USD a night. Grab a travel buddy and share the cost! In general, Burmese people are very welcoming. Indeed, this tends to be one of the main reasons why so many travellers return to Myanmar each year. Whether you are wandering in a big city or discovering the remote villages of this country, you will be treated warmly as if it was your own. 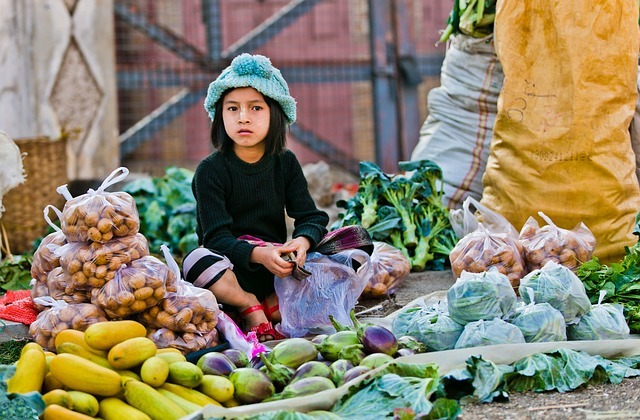 So there you have it, the 10 sensational reasons to visit Myanmar. Surely after this list, you don’t need any more! If you have any plan to visit Myanmar, we are the best tour operator in Myanmar.